(NaturalNews) In just a few days, Natural News will be exclusively announcing the results of unprecedented laboratory testing of water filters -- the kind of testing which has never been done before on off-the-shelf filters. The tests I've conducted in the Natural News Forensic Food Lab determine the ability of water filters to remove not only toxic heavy metals like lead, cadmium, arsenic and mercury, but also to remove uranium, strontium and cesium isotopes -- elements of special importance in a nuclear accident (such as Fukushima) or nuclear war. The test results, to be released soon at Natural News, are truly shocking. 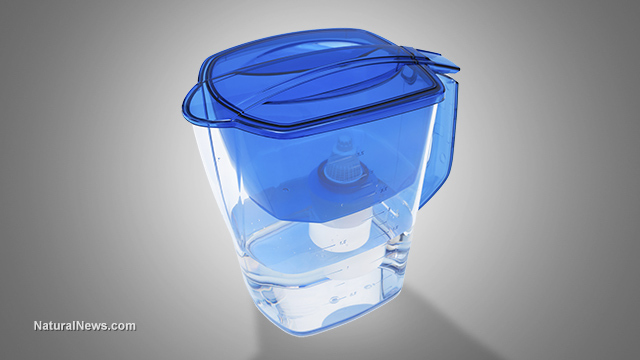 They reveal that most water filters don't remove most heavy metals. Most filters failed miserably in this test, leaving the drinking water heavily contaminated with toxic heavy metals (if it was heavily contaminated to begin with, of course). But there's also good news: We documented one countertop water filter -- a gravity-fed pitcher -- which is so much better than everything else that there's no comparison. This countertop filter removed almost everything: lead, cadmium, mercury, uranium, arsenic, etc. We will reveal the brand name of that filter here on Natural News. You'll want to tune in every day to check this news because once we announce the brand of this water filter, it will likely sell out everywhere as people rush to stock up on them. We've also completed performance testing on all the popular gravity survival filters including Big Berkey, Pro Pur, Doulton and others. Some of these results are very surprising, too, but there's ONE clear winner in all this, and we'll be announcing that in a second article to be published later. All these water filters, by the way, were purchased off the shelf at Amazon.com or local retailers. All the filters were tested using the same laboratory protocol and ICP-MS instrumentation, all on the same day. Actual ppb results will be publicly posted, and we openly invite other labs to conduct these same tests and validate these results. Note: We did NOT test "pump-action" water filters typically used by campers and survivalists. We might do that at a later date, however. Stay tuned to Natural News for the full lab results soon.